Mueller Hinton Agar is recommended for antibiotic susceptibility testing by the National Committee for Clinical Laboratory Standards (NCCLS). 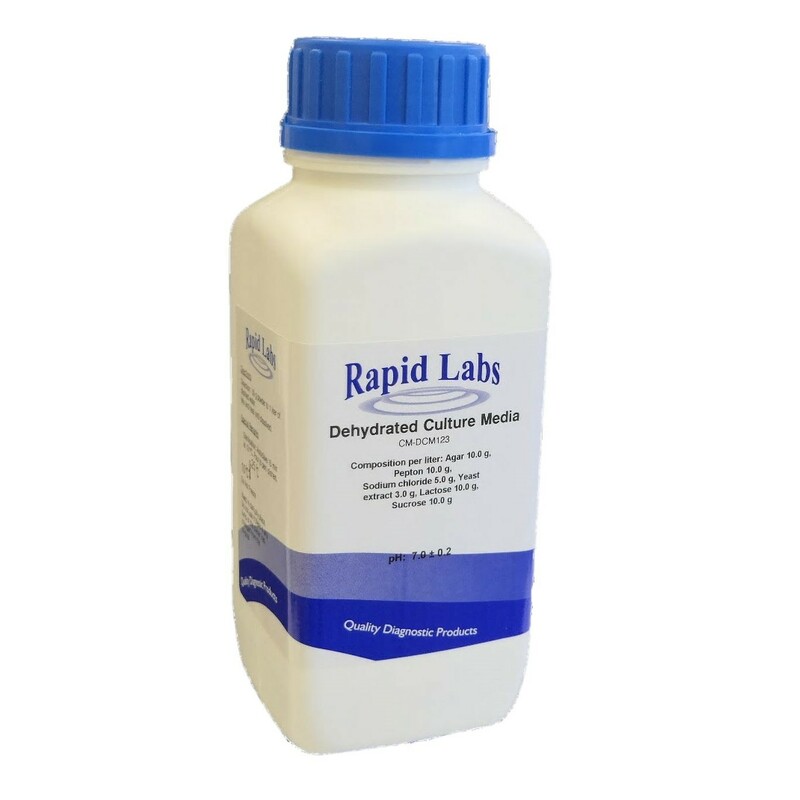 The medium has a very low thymine and thymidine content, to enable trimethoprim and sulphonamide testing as well as appropriate levels of calcium and magnesium ions ensure correct zone sizes with aminoglycoside and tetracyline antibiotics. Add 38.0 grams of dehydrated culture medium to 1 litre of distilled water until evenly dispersed. Heat with repeated stirring and boil for one minute to dissolve completely. Distribute and autoclave for 15 min at 121°C. Prepare 5% blood agar by adding appropriate volume of sterile defibrinated horse blood to melted sterile agar medium cooled to 45-50°C. Ready to use medium: hazy and yellow in colour.